“The problem with power is, the more you have, the more others want it.” History has released a new trailer for the fourth season of its Vikings TV series. Watch it, below. Vikings season four premieres Thursday, February 18, 2016 at 10:00pm ET/PT. Vikings stars Travis Fimmel as Viking Ragnar Lothbrok. The cast of Vikings also includes: Katheryn Winnick, Clive Standen, Gustaf Skarsgård, George Blagden, and Alyssa Sutherland. Starting life as a farmer, Ragnar (Travis Fimmel) says he is descended from Odin. He becomes a warrior, an Earl, and eventually rules Denmark. Watch “Ragnar,” a season four Vikings trailer, from History. What do you think? Did you enjoy the new “Ragner” trailer for the Vikings TV show? Will you watch the fourth season of Vikings, on History? Can’t wait for the new season to begin. Love the show. Why’d it HAVE to be snakes?! I have binge watched this show from season 1 on amazon prime. I have 6 friends/family that told me it was good. I was hooked from episode 1. I now have to find a way to watch season 4. If cable/satellite were not over priced I would not have an issue. The story line is entertaining and heart felt. The acting and scenery are magnificent. This show could have a long life for a tv series. I for one hope it does. I want to see how far Ragnar goes. I will definitely be watching. Love this show. Have been waiting and waiting for it to begin again. This is a fantastic show & I’m glad it’s returning soon. They need to run all the episodes from the beginning (like they do for The Walking Dead) so people who’d like to start watching can catch up! It’s way too hard to try to explain to someone what’s going on or what went on so far. 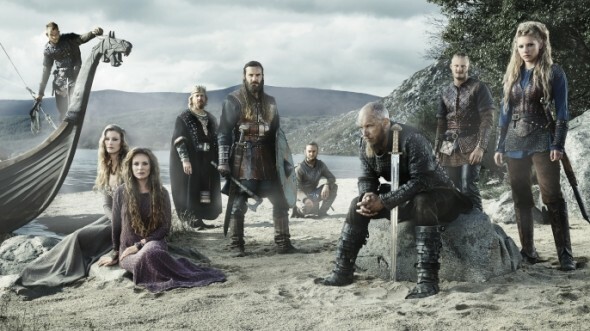 The best show ever on TV – THE VIKINGS!!! YES! I love Vikings and Ragnar!! It’s been off for way too long. I am so looking forward to it returning! It’s nice to give people good news, Cheryle. Thanks for reading and commenting.